Niko Meredith is interested in creating health promotional material that targets young Pacific people in East Auckland. He was alarmed to learn of the suicide rates in his own community and saw an opportunity to tell people’s stories. With this idea in mind, Niko began his Master of Creative Technologies in 2016, which he will finish later this year. “After I finished my Bachelor of Creative Technologies in 2015, I thought of all the skills I had just learnt and I wanted to have an opportunity to use those skills to collaborate with my community and give back. Niko is looking forward to the practical component of his thesis to go alongside his exegesis. He plans to create a 360 degree health promotion video targeted towards young Pacific adults. He has partnered with a local community group in Glen Innes, Te Āmiorangi - ō Rangatahi Tāmaki, and through their advice and the feedback from a selection of Pacific youth, he will critique his video to make sure that it is engaging and responsive enough for his target audience. Niko says the 360 degree component is a great way of engaging with young Pacific people. 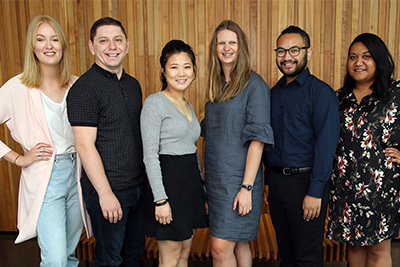 Niko has recently completed an AUT Summer Research Award, sponsored by AUT’s Office of Pacific Advancement, which required the production of a visual story reflective of the community surrounding AUT’s South campus. “It was a privilege to work on this project. The video I created was an opportunity to showcase the identity of Manukau. Niko’s video will be displayed on AUTV’s 27 panel video wall – the largest of its kind in a New Zealand educational institution – at the AUT South Campus MH building.